Don’t tell NLi10, but I’m writing about some new breakfast cereal. Cereal is his thing, but I found this fair and square in Aldi and couldn’t resist trying out a box. I may not eat as much cereal as him but I love cinnamon, and so had to try these Limited Edition Apple and Cinnamon Shreddies out. I do like Shreddies and I eat them fairly regularly. With the addition of cinnamon, my favourite spice, it sounded like these could be my thing. I poured myself a generous bowl, and added milk. 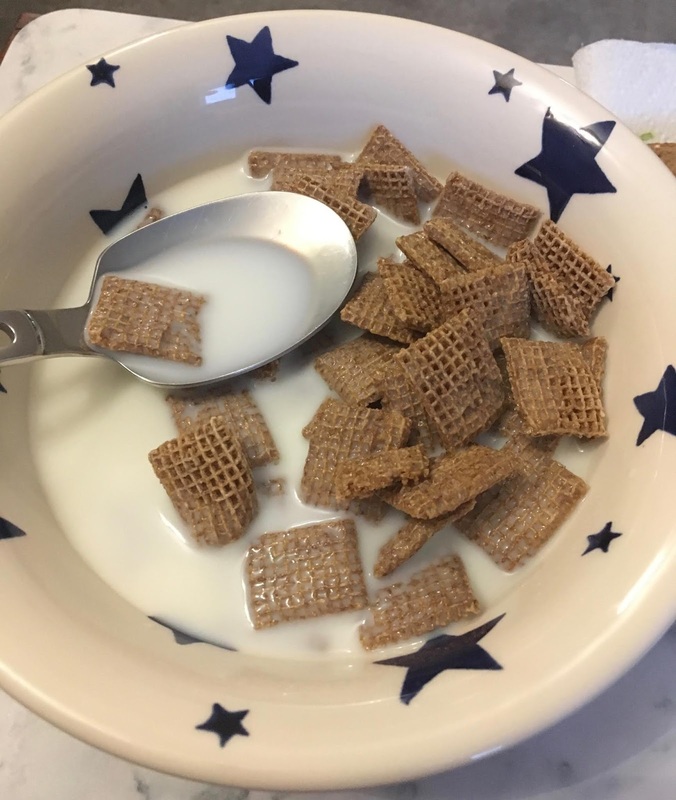 The texture was stayed firm for quite a while, much like normal Shreddies. 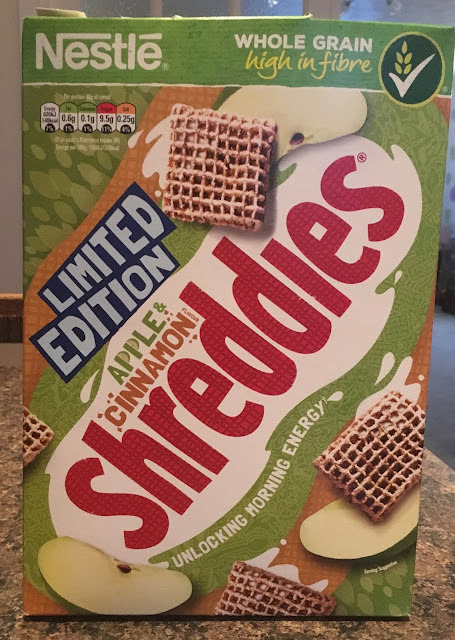 The Limited Edition Apple and Cinnamon Shreddies were more apple than cinnamon, I think the first thing I noticed was some extra sweetness, then the apple follows and a hint of cinnamon. I guess they didn’t want the cereal to be too spicy first thing a morning, but I thought this was effectively teasing me with cinnamon and that it needed a more generous helping. For most people I would suspect this is perhaps a nice touch of the spice. I have to admit I did thoroughly enjoy my bowl though, with the added apple and sweetness making the Shreddies something special. I might just add a sprinkle of cinnamon sugar to my next bowl, just to give them the extra a bit of magic that I love. Admit it! You couldn't taste any cinnamon!